We interrupt your normally scheduled web browsing for this special announcement. My blog has a name. And a new look. I am still going to post about the same mix of topics as always, although I am trying to post more frequently. A bit of tech, some travel, a dash of Tiki, and a dusting of that enchanted Disney pixie dust. So if the content is gong to stay the same, why put Tiki up front in the name? Why not? I have always been interested in Tiki pop culture thanks to Walt Disney and his Enchanted Tiki Room. If you follow me on social media you will have seen many pictures and posts from tiki bars around the country. Simply put, it’s fun! If I’m going to post more often, my blog needs to be fun (for me at least) too. As for the specific name, it can be difficult to come up with something fun and interesting (especially for a left brain like me). There’s no shortage of Tiki sites out there that have already come up with some pretty good names. 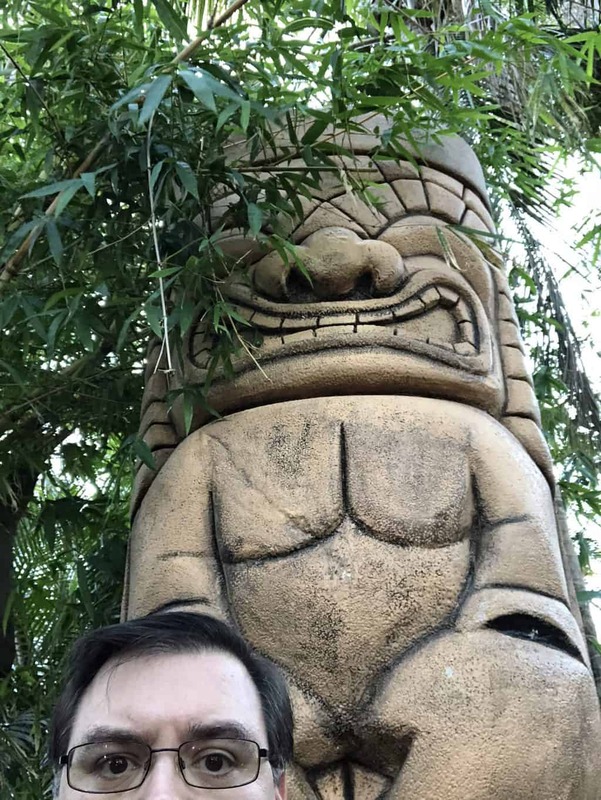 Tiki had its heyday in the 50s and early 60s, and Sci Fi at the time included an awful lot of 50 foot tall monsters, so why not a 50 foot Tiki? The site theme isn’t exactly where I want it, but it will do for now. There just are not many good themes out there with a Mid-Century Modern look which is what I really want. Be prepared for some tweaks here and there. Until next time. A hui hou.